You are making this project succeed, so please keep sharing the site as much as possible www.glyphproject.info and the direct link to the cultural survey ( click the monkey head). Follow this blog for automatic updates. I promise no info overload, so please post/like/share/friend/tweet/link without fear! A “call for audios and visuals” from survey participants will be issued in October 2013. Join the happening now by taking the survey. Follow this blog for auto updates and calls for additional material. The following information is derived from a quick review of existing data and is not meant to reflect final outcomes. My studies over the past years revealed a vast array of meanings found in shapes and colors. Major influences on meanings come from cultural background / traditions, spiritual belief systems, and contemporary interpretations. I suspect life experiences and length of life also play roles in selections. What do you think? Survey Section 10 – Select the symbol that best represents your belief system. Consider the answer you gave to questions 7 and 8 (see Post Sept 5) if you believe in a Supreme Being(s), and questions 7 and 9 if you do not believe in a Supreme Being(s). 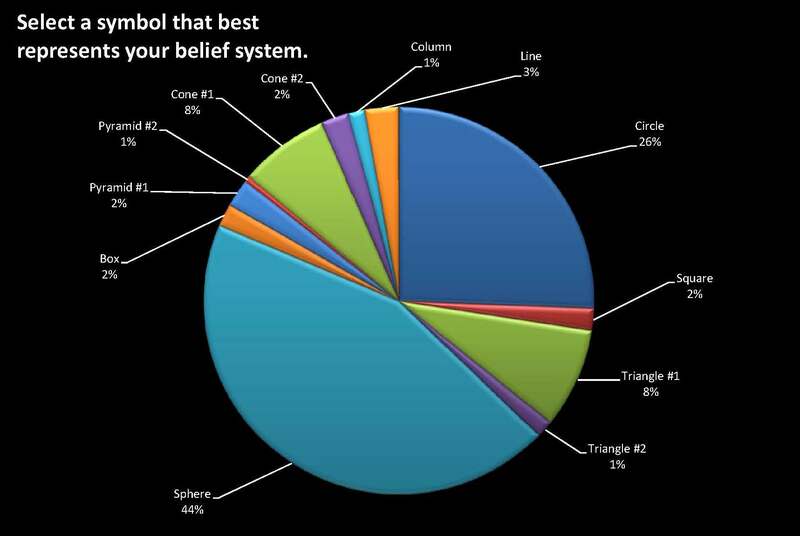 The top 4 selected symbols are Sphere (44%), Circle (26%), with Cone #1 and Triangle #1 tied (8%). A basic symbolic meaning of a sphere and a circle they both are without beginning or end. They are formed by determining points equidistant from one center. The cone and triangles noted here are oriented with the point up. The shapes can reflect a hierarchal system of belief. The broad base might reflect a foundation / mass. Click the graphic above for data on all answers. What do you see? Of the color swatches provided, the top 5 colors selected by respondents are White (27%), Blue (18%), with Blue-green, Purple, and Red tied (10%). Click the image on the left for data on all color selections. White is the color seen by the human eye when it looks at light containing all the wavelengths of the visible spectrum. On the optical spectrum blue is located between violet and green. Blue is the color most commonly associated with harmony and hope – think of blue sky and blue bird of happiness. Symbolically the color blue and purple represent power and royalty – and historically the color, being made from precious stones/minerals, was generally used for the most important characters in art work. Got observations to share? 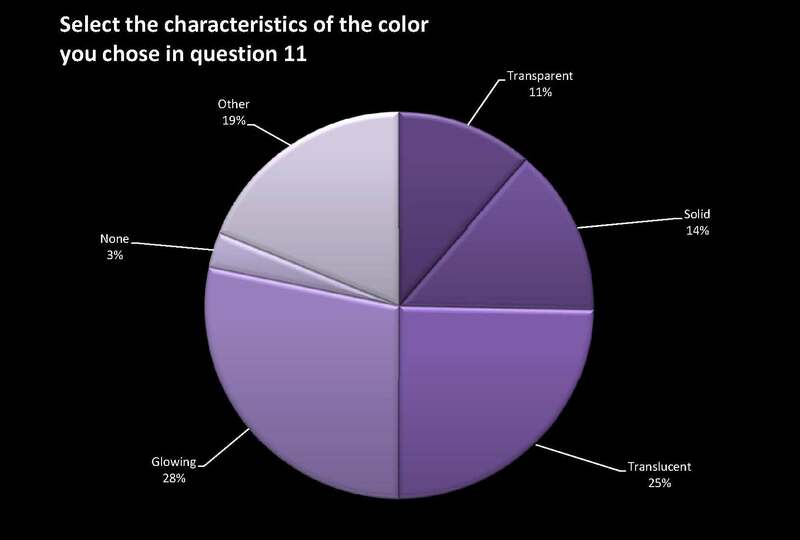 Survey Section 12 – Select the characteristics of the color you chose in question 11? Select as many as you like or select none. 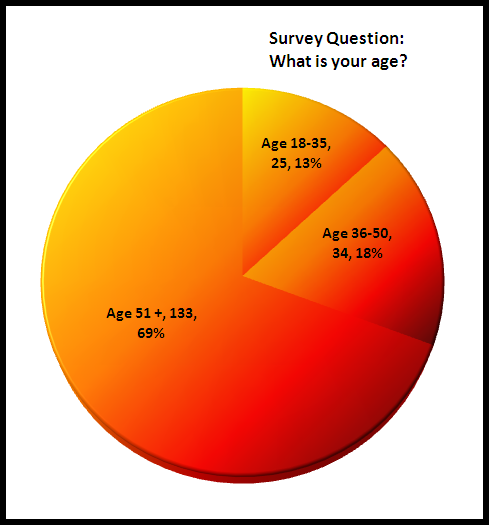 The majority of respondents selected Glowing (28%) and Translucent (25%), followed by Other (19%). The responses in the “Other” category tended to remark on animated actions of the color or expand on the intensity of a color. For clarification, my observation means that these 3 words showed up more in the group of words selected by respondents and does not mean they were selected in this order. Click the image on the left for data on all selections. What are your thoughts? Survey Section 13 – Have you ever had an experience where you were “filled with the spirit?”; were “one with the universe?”; felt you were “outside of your body?”; were in a “state of enlightenment?”; All of the above; or None of the above. Of answers provided the top 4 responses are: Filled with the Spirit (26%), State of Enlightenment and One with the Universe tied (22%), followed by Outside Your Body (21%). Next came All of the Above (5%) and None of the Above (4%). 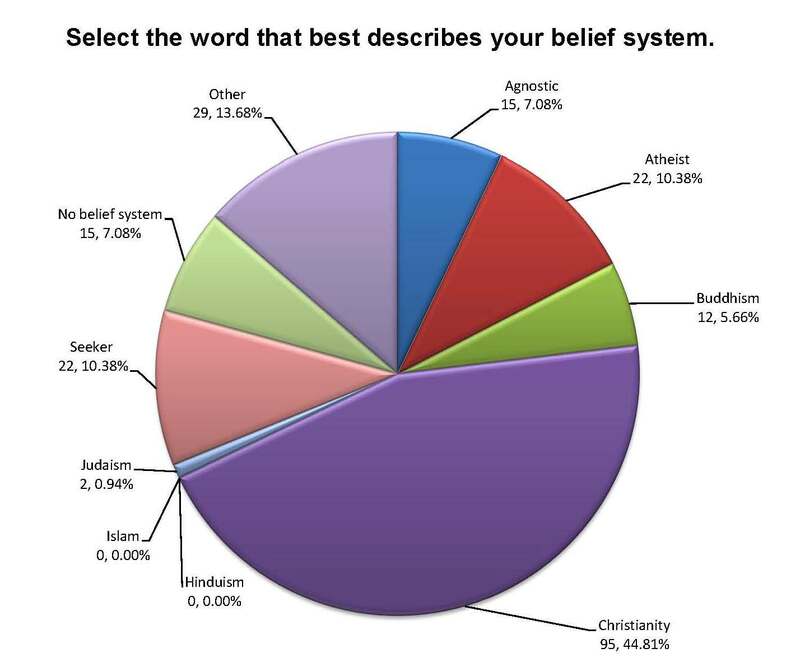 Consider the relationship between the 4 percent selection of “None of the Above” and my earlier blog post (Sept 5), discussion on “Select a word to describe your belief system”, where 18 percent of respondents answered atheist or no belief system. Click the image to the right for data on experiences. Looking at all posts on Glyph what are you thinking? It is important to note that the project survey produces data from what is considered a “sampling” of the population, and is not a “controlled” group. I intentionally chose this survey style as I wanted anyone over age 18 to be able to participate. To join the project and complete the survey, click the image below. Feed the need….Do the Glyph now! A “call for audios and visuals” from survey participants will be issued soon. Stay tuned as more observations on the responses are issued. Follow this blog for automatic updates. Share/Pass it Forward/ Like it to friends, family and associates. Glyph Project trending 18 states! Checkout this interactive map and find your zip. The following observations are derived from a quick review of existing data and are not meant to reflect the final outcomes of the survey phase. 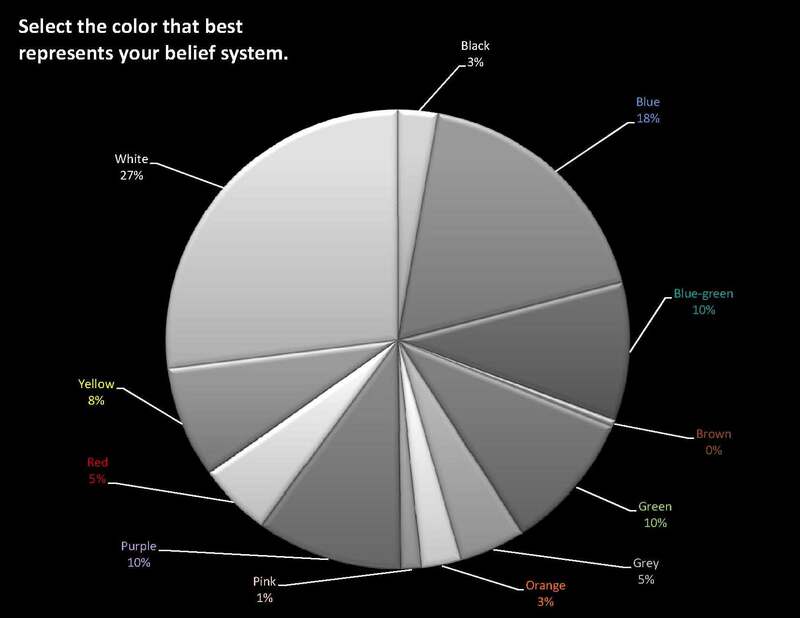 Survey Section 6 – Select the word that best describes your belief system. The current data shows the 3 most entered answers are Christianity (44.8%), Other (13.6%), Atheist (10.4%). 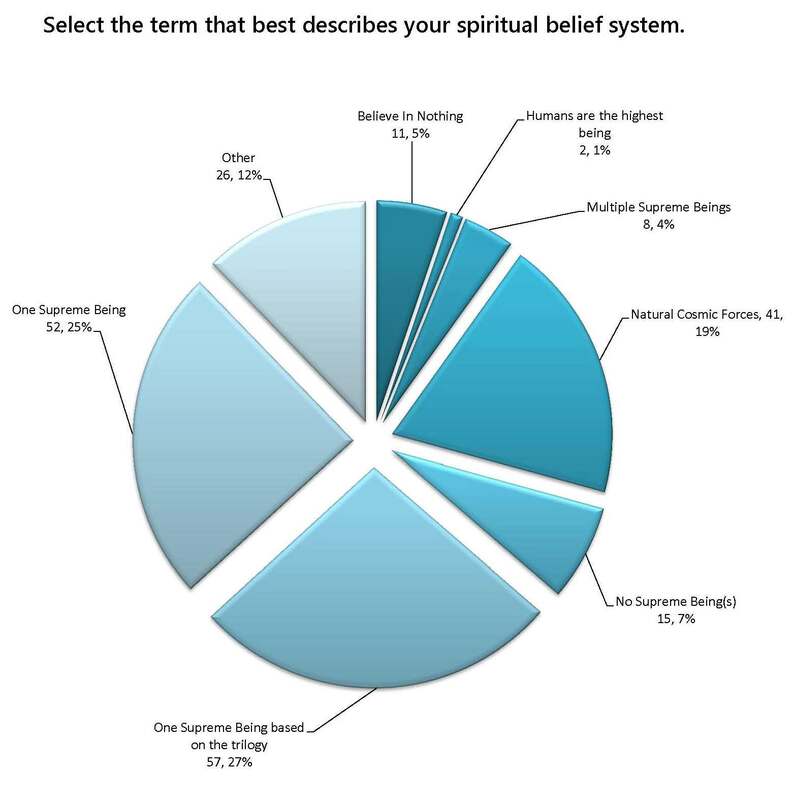 Respondents used “Other” when the 9 categories in the listing did not describe their belief system and then entered in their own descriptive words. I think it is Interesting to note that while Christianity is currently the highest single category, all other categories together make up 56% of the respondents. For the actual chart of data, click the image above. What are your observations? The two most entered answers are One Supreme Being based on the trilogy (27%) and One Supreme Being (25%). 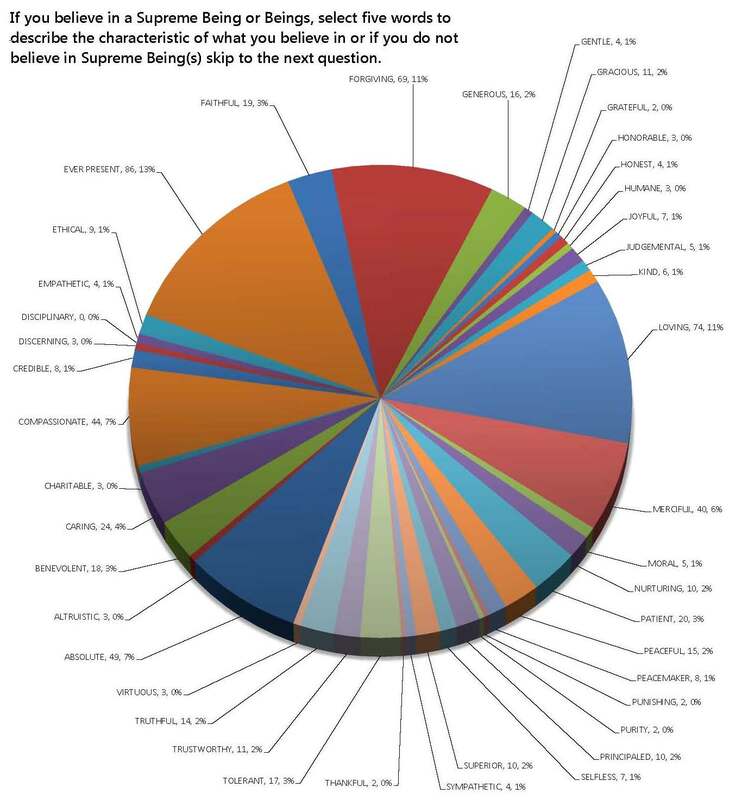 Although 10.3% of glyphers answered “atheist” in Section 6, the percent of those entering “Believe In Nothing” is 5% in this section. Natural Cosmic Forces received 19%. Click the image to the right “Pathways” for a data chart of answers. Ultimately, the combination of the 5 words varies by each respondent. The top choice is Ever-present (13%) with Loving and Forgiving tied (11%). The next 3 words are Absolute, Compassionate, and Merciful. For clarification, this observation means that these 6 words showed up more in the group of five words chosen and does not mean they were selected in this order or by all respondents. Click the image on the left for details on how often a word was selected. As in section 8, the combination of words selected varies by each respondent. 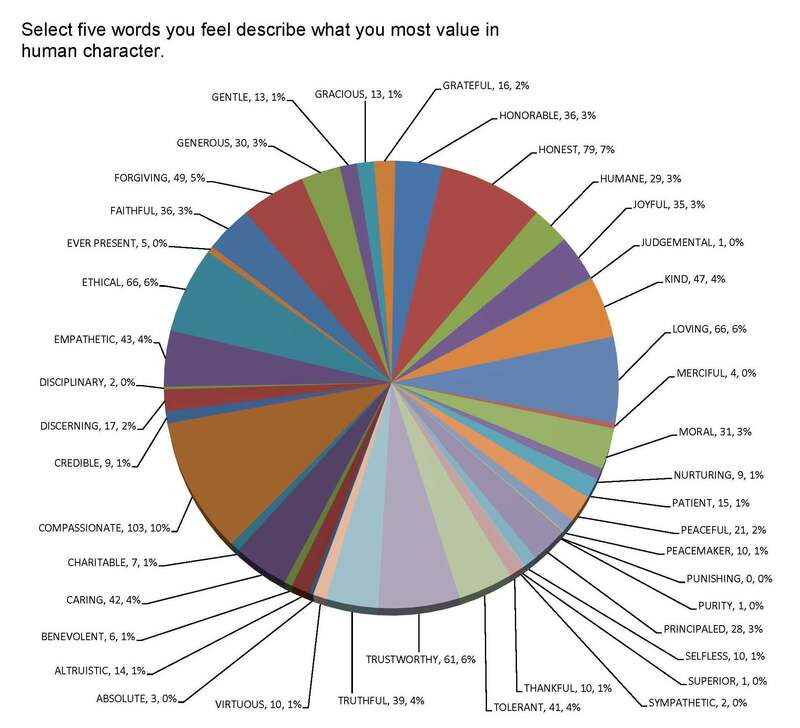 The top choice is Compassionate (10%), followed by Honest (7%), and then the three words coming in with 6% are Ethical, Loving, Trustworthy, with Forgiving receiving 5 percent. For clarification, this observation means that these 7 words showed up more in the group of five words chosen and does not mean they were selected in this order or by all respondents. Click the image above for details on all words chosen. The Glyph Project has taken off through cyberspace with the help of those sharing the site www.glyphproject.info and the direct link to the cultural survey www.surveymonkey.com/s/7ZM7RC5. Join this blog for automatic updates. I promise no info overload, so please post/like/share/friend/tweet/link without fear! Where in the world did the idea come from? Ideas generally pop into my head as frustrated questions seeking form. This idea showed up in late 2001, as headlines and the world’s focus turned more to our extreme differences than what we had (have) in common. My friends are from all sorts of backgrounds and we respect our differences. So, the question that kept coming into my head was (is), “What does a get-along culture look like”? I found an enormous amount of information on this topic that morphed and expanded my original question. The topic is interestingly addictive. 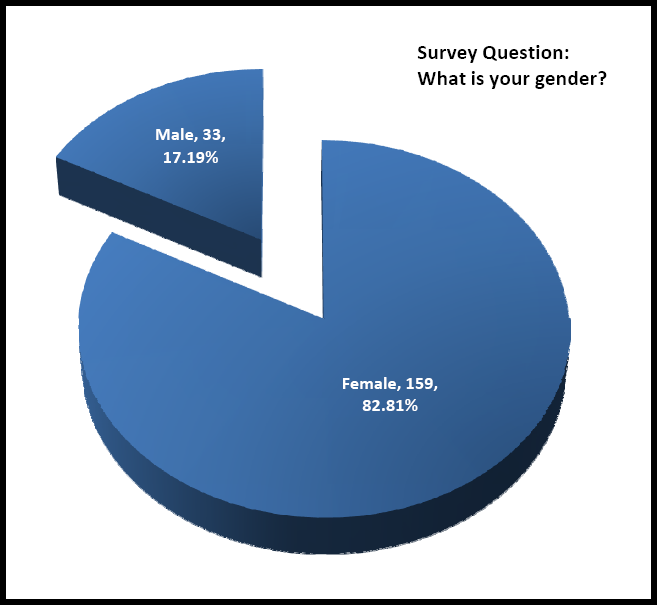 In order to be inclusive to a variety of audiences, I researched material from numerous resources and cross referenced information to develop a foundation of understanding from which the questions in the survey were generated. Additionally, during the past 12 years, I maintained my fine art career, a job as project manager for a government entity, and co-founded a new visual arts center. Good things rarely come easily. I’m in for the long haul and meaningful outcomes. Who helped with the project? My good friend-artist-curator, David Swoyer, helped with the name and original descriptions used to define project goals. Kathryn Peterson, from New Smyrna Beach, who now works for the Atlantic Center for the Arts, was my social media connection in that early period. Now, Mary Schnebly, techi-guru extraordinaire with a broad background in mapping data, is taking me above and beyond all expectations. Additionally, several brilliant friends and associates, who understand the aspects of studies, such as this one, guided me to resources that helped formulate the project as it is now presented on the web. 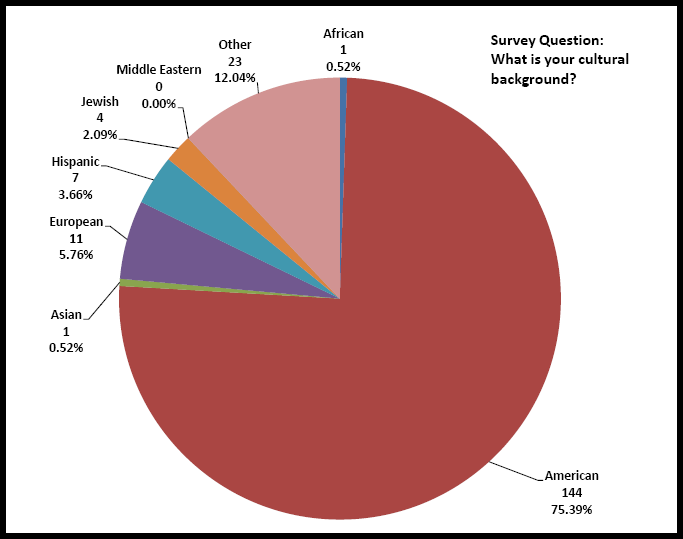 It is important to note that the project survey produces data from what is considered a “sampling” of the population, and is not a “controlled” group. I intentionally chose this survey style as I wanted anyone over age 18 to be able to participate. With some survey results in, who’s missing? Please understand that I am not asking women, or those over 50, or those who identify solely as being American, to stop responding to the survey. EEK! – not at all folks. I am simply identifying a means by which you can help the ratio of Glyph respondents mirror that of our 2010 national census. You can help by passing the survey on to everyone you know and asking them to pass it on to everyone they know… send to students, teachers, friends, associates, grand kids (over 18). In the end, it’s all good stuff. Why do we do anything? I find it richly beneficial to reflect on how and why I interpret things around me the way I do. In order to communicate with others, understanding why they do what they do is critical. Here’s an opportunity for anyone over 18, living in the United States 6 months out of the year, to join in a project that visualizes our “freshly blended” culture. I am thankful to all participants. Join the blog now for auto updates on “your” project. Stay tuned as more observations on the responses are issued. A “call for visuals” from survey participants will be issued soon.